Structure of the Company: PVT Ltd.
Executive Summary: Arogya MedTech has brought a novel and innovative solution to identify neurological problems with their flagship product, CEREBROS, which is a wearable neuroimaging solution using multi-modal technologies to continuously scan the brain. CEREBROS will help in early screening and triaging neurological emergency at point of care, specifically among High-risk population (Geriatric group). Any healthcare professional such as a General Physician, Nurse, Paramedic or Community Health Workers, can use it and help patients detect the advances in neurological interventions which need to be administered within the golden-hour. Product/Service description: CEREBROS is a low-cost (approx. INR 50,000), portable, radiation free, multi-modal NIRS-EEG/EOG neuroimaging and continuous brain monitoring device at point-of-care enabling early detection of Stroke, Hypoxic-Ischemic Brain Injury HIBI among neonates and children, Traumatic brain Injury TBI as well as all type of Brain Injury/Trauma using big-data analytics on cloud platform. There is no existing technology that provides neuroimaging at the point-of-need accident site, home or during transfer ambulance, and patients miss crucial time "Golden hour" while traveling to "scan centers." CEREBROS technology leverages two well developed portable radiation-free neuroimaging modalities - electroencephalography EEG and near-infrared spectroscopy NIRS - for continuous point-of-need monitoring of the deleterious effects of brain injury. In summary CEREBROS is a highly miniaturized portable device integrated with a tele-neuromonitoring platform with the following critical technologies: 1.Portability ensuring early screening and triaging at point-of-care 2.Low Cost device (INR 50K compared to INR 2-5 Crores for CT/MRI) 3.No skilled technician required thus empowering any and all emergency healthcare providers 4.Non-invasive and Radiation free 5.Multi-modal Sensing (EEG+NIRS): High degree of Specificity & Sensitivity, resulting accurate result 6.Sensor fault tolerant embedded system making it the only neuroimaging device, that can be used in-transit 7.Continuous and Remote Monitoring 8.Using big-data analytics and Artificial Intelligence leading to Prognosis and Diagnosis of neurological emergencies (such as Stroke, Seizure, Brain Injury and Trauma) at point-of-care9.Under Software-As-A-Service(Saas) based revenue model providing brain scan at a fraction (1/10th) of CT/MRI cost. Current traction: The need of the beneficiaries (Neuro-emergency patients) and the gaps for the problem is well documented in Neurological Epidemiology studies. One of them in India has been done by their Co-Founder Dr. Das. In 2012, Neurologist Dr.Das published a seminal paper "Neurologic Disability:A Hidden Epidemic for India"(Neurology.2012;79:2146–47) where he identified emerging epidemic of neurological disability in India, affecting 3.5 million people annually. They have also done a survey among the Users and Customers, specifically among the Neurologists with following survey result: 1. Only a very small number of Neurologist (10%) mentioned using EEG as the only point-of-care device for brain scanning, but that only for Epilepsy purpose. 2. 100% responders mentioned the need of a point-of-care, portable brain scanning technology for early screening and triaging of neurological emergencies, such as Stroke, TBI, HIBI, HIE as well as for brain function status for Neurodegenarative disorders, such as Vascular Dementia. 3. 100% responders agreed “continuous brain monitoring” will be added benefit. 4. The few neonatologists who participated in the survey, agreed that, in case of HIE and HIBI among neonate, the early screening and any physiology-based treatment like hypothermia at remote point-of-care for "intact survival" under continuous brain monitoring by ASHA worker or ANM nurse will be a huge public health impact. 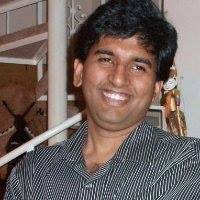 Past Experiences: Rajib Sengupta, a computer scientist turned social inventor, social entrepreneur and senior executive with 18 years of exp in Healthcare industry. He is currently pursuing research in Health-Informatics and Bioinformatics, Biotechnology, Medical Devices, Public Health and Big-Data analytics in Healthcare domains. 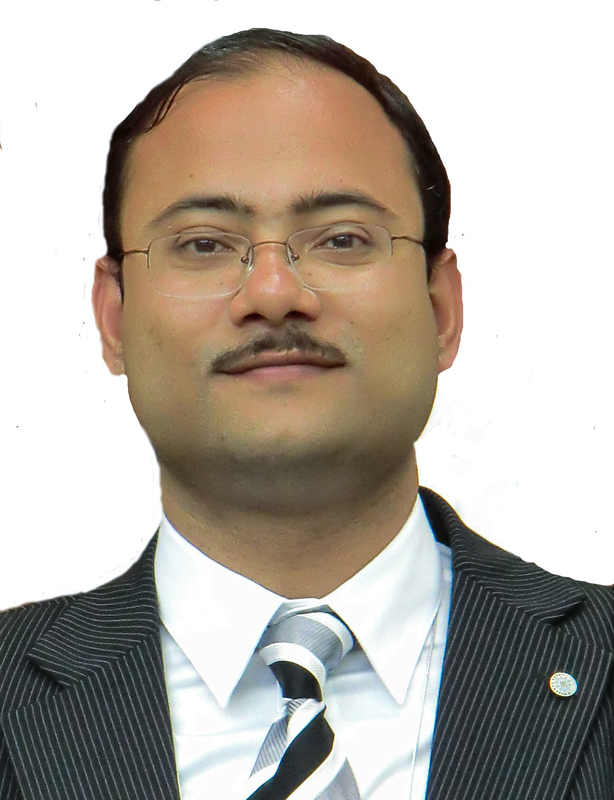 Early in his career, Rajib was responsible for the HealthCare Vertical in a Startup IT Consultancy. After he migrated to US in 1999, had served in the management team of multiple organizations as CIO/CTO/Director of Tech as well as in the founding team of a health-technology start-up. For a Florida based startup, he was responsible for deployment of an end-to end Health-Informatics and Big-Data Analytic system in the cloud. He has successfully launched and implemented several large-scale healthcare projects in US. Later in 2008-09, as President Obama introduced HITECH Act (Health Information Technology for Economic and Clinical Health Act), which required all US medical providers to have electronic medical record integrated/interoperable with the Nationwide Health Information Exchange Network (NHIE) via the regional ones, he got involved in the Florida Health Information exchange (FHIE) consortium as an active member. He worked in advisory roles for several organizations in the FHIE network as well as in multiple committees in the Office of the National Coordinator for Health Information Technology (ONC). Also, played active role as a Software Architect and Community Developer for OpenEMR (openemr.org) product to obtain the ONC certification for EMR (Electronic Medical Record). OpenEMR is the only FOSS product which obtained “Meaningful Use” certification. After a long 15 years career in US, he decided to channelize his entrepreneurial, technical and health management skill sets for improving healthcare in developing countries. He had joined hand with Physicians, Epidemiologists, Engineers and Health Activists to form a social enterprise MISSION AROGYA which is bringing in equality in Healthcare domain in India using technology and working as a Hybrid organization ( A consortium of non-profit and for-profit orgs). In this new career move, currently he is working as the CEO of the biotech start-up Arogya MedTech, which is the technology arm of the Mission Arogya consortium. In a life-changing career move, Rajib ( and his family) has relocated back to their birth place Kolkata, the “City of Joy”, to build the 911 of Kolkata, aka, Kolkata Medical Emergency System. His brain-child Kolkata Medical Emergency System(KMES), the first ever information driven, centralized, crowd-sourced medical emergency system in India is introducing social justice & cultural change to a deeply divided, two-tier healthcare system by making highly-relevant emergency medical data available to all citizens, irrespective of social or economic status. (www.kmes.in, Details: https://goo.gl/qlzBEh ). It is empowering citizens for crowd-sourced emergency response within golden hour. Rajib was instrumental is scaling up the project covering the entire city within 2 years and is in the process of making it fully self-sustainable without any government aid. During executing KMES System, Rajib experienced significant mortality among neuro-emergency patients due to late diagnosis. Rajib joined with neurologist, Dr Das and biomedical engineer Dr Dutta to launch the product CEREBROS: a low-cost brain scanner at point-of-care that can detect early neurological emergency. Based on initial studies, CEREBROS will provide a paradigm shift in how(multi-modal), when(continuous) and where (point-of-care) brain-scanning is done globally. While working on “CEREBROS”, a related technology, “Brainguard” ( Brain stimulation using tDCS - Transcranial direct-current stimulation and capturing resultant bio-signals on device) was invented and IP protected by opening a FL based LLC, Neurotrix LLC, with Dr Abhijit Das and Dr Anirban Dutta (Rajib is an US citizen and Florida Resident). Due to the FDA Class III nature of this technology (tDCS evoked on-device biomarkers), getting this FDA approved will require an established company in neurology domain. As such, we have licensed it (only for specific disease diagnosis) to Penumbra Inc. (www.penumbrainc.com/), one of the leading producer of neuro-devices. Rajib also launched academically inclined User Driven HealthCare(UDHC) movement under a social-enterprise model, "ArogyaUDHC", which is an optimal, cost-effective and sustainable tele-health model bringing quality (controlled) healthcare at the doorsteps of rural India. During last decade he got interested in application of free and open-source technologies (FOSS) for Public Health Research projects and is an evangelist in the open-source movement. His current projects include developing several mHealth & eHealth products which are being published under open-source GPL licensing. He is instrumental in adopting/customizing/implementing solutions in the Public Health Domain on top of open-source platforms such as OpenMRS, DHIS2, OpenEMR, Vista, CAISIS, PatientOS, GNUHealth, iHRIS, ODK, Commcare etc. As Opensource evangelists, he is building “ArogyaUDHC” as an Opensource eHealth & mHealth platform, one of the very first FOSS platform in Healthcare domain from India. Thus while he has significant expertise in HealthCare information management, big-data and med-tech in US, while on the other end he is having hands on experience in developing low-cost, low-resource setting health and med-tech for developing countries serving bottom of the pyramid population as well as the hard to reach, vulnerable population.